My DD asked me yesterday what it means to be “grounded” because her friend keeps telling her he is going to tell on her for things and she is going to get grounded. We don’t ground her. When your six, I’m not even sure what that would entail. But, today, I’m grounding myself in a much different way. But, I like the idea of telling people that I’m grounding myself because it does kind of work for what I want to do for myself as well. So, my 2016 word of the year is going to be grounded. And I want to become a person who is sensible. One who has a good understanding of what is really important in life. I want to be mentally and emotionally stable. I want to be realistic and unpretentious. And I want to be deserving of admiration, praise and attention in my approach to life. That’s about all I can muster this morning. A sigh. A tired, defeated and slightly exhausted sigh. I’m going to write and tell the workshop I can’t make it. I think I have a pretty legitimate reason with my mom passing away a week ago. Its just too much with everything else right now. I feel like I need some family time with my husband and DD before I head back to work and she heads back to school and we start our Fall traveling for work again. I just need some family relaxation and enjoyment and time to decompress. I’m going to finish cleaning in the house today and then start a maintenance schedule – daily, weekly and monthly tasks that should keep it relatively clean. I am NOT going to let it spiral out of control again. I am NOT. We are probably going to travel to my in-laws for a few days and then my BIL and SIL and their baby are coming up the end of next week. So, we’ll get some extended family time in before heading back to school. I will schedule a time with my sister to go down to my mom’s (much easier with the time off next week) and clean some things out. I will get the taxes done and mailed off and start tracking our spending to have a better financial year this year. I will spend some time prepping for classes and reading next week since I won’t have so much to do around the house and I’m sure that DD and DH will want to spend some quality time together. I am going to use the pedicure that my DD and DH got me for mother’s day (finally) as soon as the psoriasis on my legs clears up (it is getting much better, so hopefully by the end of next week). I am going to menu plan for the next month or so. I’m working right now on the easiest way to do that and then can do the shopping and figure out the easiest way to implement it. It will make me happy to have a plan for meals and not waste so much food. That’s it. Mostly just family, relaxation and tasks to reduce my stress once school starts in a couple of weeks. I can’t believe the summer is almost over. I really feel like this is the lost summer…but, it will be only a blip on the grand scheme of things. It will be good to have some time to make some family memories next week before DD goes on to 1st Grade! Holy cow…she’s in numbered grades! Being more is NOT doing more. This is a reminder to myself as I often forget to consider who my doing is allowing me to BE. 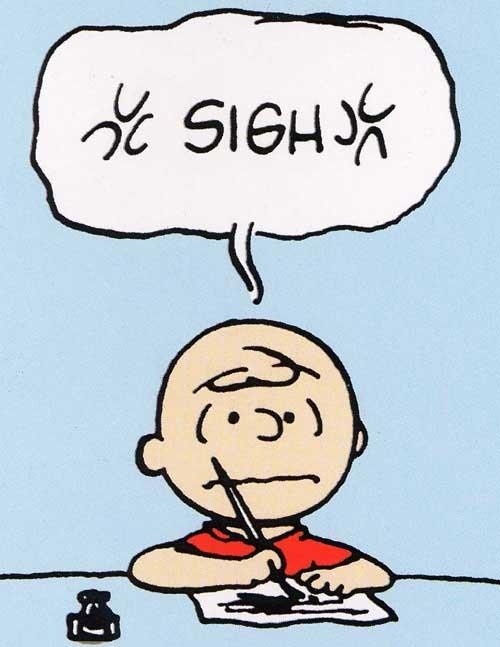 I’ve been doing a lot lately and sometimes that helps to be a better me, but sometimes it ends up making a worse me. So, I need to start considering what my doing is really producing. I’ve followed the Abundant Mama for a while no and I love her “Ban Busy” project. I’m sure she isn’t the only one with such a project, but I happen to have followed hers. I have fallen off the Ban Busy bandwagon as of late, but its something I want to really work toward making it more possible when the Fall rolls around. That seems to be the time when things really start to bog down for me. I’ve been forced to “Savor Slow” the past few days because of my illness. But, I realize that was probably the result of being way to busy and not restful enough the past few weeks. So, now that I have a month or so left in the summer (!) I plan to savor some slowness right now and organize myself to be able to do it even when school and work and all the other things that come along with the Fall kick in late in August. What about you? Are you a slow goer or a busy, busy bee? I think there are speeds in between and there are also times when we have to be a busy, busy bee. But, being aware and making those choices consciously is pretty important. I’ve decided to start a new Monday focus – minimalism. I am really serious about making my life simpler and minimalism (at least a slight amount of minimalism) seems to get me everything I really need. Spend less, less “stuff”, less on my to-do list, more focus on family and well-being. So, this first post is going to focus on the WHY of it all. If your house is a disorganized mess, so then likely is your life. If your storage area is filled with boxes stuffed with your past, then you are probably also physically holding on to those emotions and wounds too. If you are ignoring financial obligations, playing the role of the ostrich in your reality, most likely you are shortchanging yourself from prosperity in more than just your bank account. If your calendar is so very full you have to check it just to see if you have time to make a phone call to a friend, there’s very good chance you are also experiencing adrenal fatigue. If you consistently ignore the fundamental chores and repairs in your home, then you’re probably also not meeting your basic emotional needs. Just like the clogged bathroom sink you’ve avoided dealing with for a month, your emotions are likely starting to back up, and eventually, they too will flood. Look around, see what’s in front of you, examine your household habits, then ask yourself— where else does that show up in my life? The answer to that is EVERYWHERE! At least that is what I feel like right now. I am physically holding on to emotions and wounds from the past. I am shortchanging myself from prosperity in multiple places in my life. I am almost fearful of success. I am probably suffering from adrenal fatigue. Especially during the school year. And I do have emotions that are backing up…have been backing up for multiple years. It is the reason I can’t bring myself to watch movies or read books that have sadness in them – I feel like I may start crying and never, ever stop. I feel like I have so much fear and anxiety that I mask on a daily basis that if I were to ever let it go free it might never stop flowing out of me. That last paragraph makes me sound like I’m on the edge of a breakdown. But, I don’t think I am. I think I’m pretty strong. I think I’m pretty capable of holding it all together even when everything is falling apart. I’ve proven that. But, I also think that holding it together has become tiresome and overwhelming. So, I’m going to follow the article’s advice…some of it seems a little mystical/new age for me, but I feel like I’ve skipped number one and two (the acknowledgement of the past pains and the “setting it on fire”) and gone to number three – the clean and polish – but, I still need to acknowledge and release. The remainder I will do, but in a more biblical way I think. The saying “Let go and Let God.” comes to mind. And settling into God’s grace and plan for me seems a little more of a relief than trying to hold it together myself. Well, that turned out to be a little more of a serious post than I first planned. But, it feels good to get that out. Release. Acknowledge. Let it Go. Move on. I am participating in another Five Minute Friday Party this week. Join us over at Kate Motaung! World. It is a word that means something big, but our world can also be quite small if we let it shrink. I’m caring for my mom again this weekend and I see the way her world has shrunk down to almost nothing as of late. It is hard to watch and hard not to pressure her to see beyond that small world she has shut herself into because of pain, depression and suffering. I want myself to always see the world beyond my own. The world of pleasure and joy and enjoyment is still possible, even if only in a small way, but we have to seek it out at times. It doesn’t always come looking for us. Sometimes we have to seek it out. I feel like my mom has given up on that seeking. So, I try to remind her of the things that brought her joy (we went and got an ice cream cone last night even though she was feeling nauseated, she ate the whole thing). We will go for a drive today, even though her back may hurt riding in the car, it also hurts at home and she loves to go for drives. But, she so easily becomes trapped in her smaller world of pain and suffering and forgets there is something out there she enjoys and can still do. It is important for us all to remember that we have been given the ability to experience joy and we should do that whenever we can. We too often focus on what we are suffering. Let’s focus on joy. Let’s make our world about joy. That’s it. My Five Minutes is up. Where is your world this week? The first thing I thought about when reading the prompt was “He has risen.” and I went and checked the date to make sure this wasn’t an old prompt from Easter time. 🙂 But, no, it isn’t. So, that got be thinking about resurrection and rebirth and clean starts. This has been a really rough time in my life. And I can’t even really define when it started. I think it started when my DD came along and it has just been kind of a roller coaster ride since then. Well, more than a roller coaster ride, a visit to an amusement park. Sometimes I feel like I’m on one of those relaxing, slow-moving rides that have a lot to see that is beautiful or fun, but not a lot of excitement. Those rides are nice after long days of walking and standing in lines and doing roller coasters. Sometimes I feel like I’m in the House of Horrors and although all is dark and quiet for a bit, I know there is always something around the corner that needs to be anticipated. But, even with that knowledge, you’re still scared to death when the thing actually jumps out at you. Nothing can prepare you…even riding the ride over and over, you still have that sense of dread and shock. Sometimes I feel like I’m on a roller coaster and there is good excitement and terrifying, heart-in-your-throat excitement and I want to get off in the middle, but your stuck there until the end. So, I guess rise for me right now is all about rising above this “stuff” that keeps me trapped in the amusement park rides that I don’t want to be on anymore. I want to rise above it and rest. So, at some point, I have to make that choice to rise up and have a clean start. One that may still include an amusement park ride here and there, but is more livable in between. I’ve been functioning in a space of stress and dread and fear for too long. So, today, I’ll rise up and leave the amusement park! How about you? 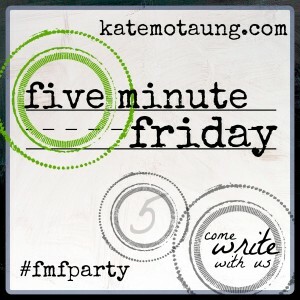 Join Five Minute Friday writing over at Kate Montaug! 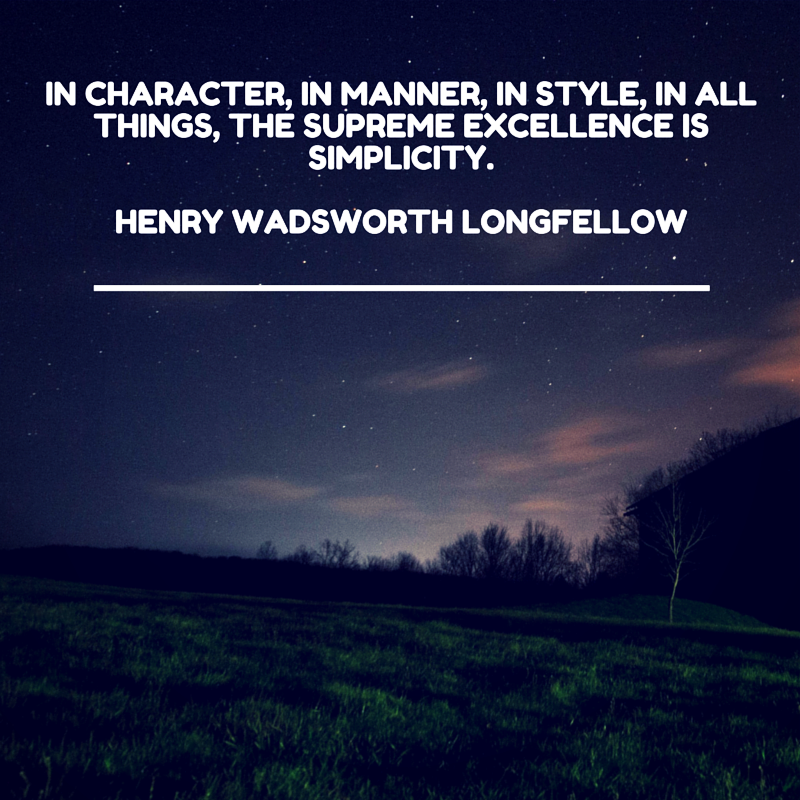 Quality or quantity of life – choice? My mom is with us again this weekend. She is having a much worse weekend than last weekend, and that makes things hard. Both hers and my dad’s older age have not been much in the area of quality and it makes me wonder. If we had a choice or if there IS a choice. I mean, I realize that my mom’s cancer wasn’t a choice. But, her pursuing treatment after treatment over the years, even with very little promise of positive outcome was her choice. And she did it. She suffered horrible side effects, painful surgeries, loss of body parts…more than once. And so she is here with us, but at what cost? My dad hung on for quite a while through his dementia. He would NOT have wanted to live the last year of his life the way he did. He probably would have chosen to end it earlier than that, given a choice. But, he was not. There is now a bill moving through the California legislature providing for legal assisted suicide. I support it. I think that in our society, we focus too much on quantity of life and not enough on quality of life. That is true always, not just for those with terminal illness, but it is especially true for those with terminal illness. No one know the amount of pain and suffering that one will have to go through to make it to the end, but although I support the legislation, I also don’t know if I could ever make that choice for myself. With my mom, there have been good intervening years that she may have missed given some of her early prognosis. So, who knows what will happen? Medical advances are being made all the time. But, I do think that for older individuals who are satisfied with their lives and are given a prognosis of pain and suffering, whether long or short, this option is a good one to have available.